As the Gran Premio bwin de España got underway at a scorching hot Jerez on Friday, Movistar Yamaha MotoGP riders Jorge Lorenzo and Valentino Rossi were second and sixth respectively on the combined timesheet. The experienced pair made progress despite a track temperature of around 50°C, making a lack of grip an increasing issue in the second session. 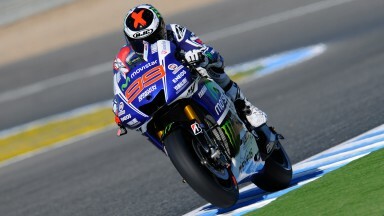 Lorenzo ended the day in second overall with a best lap of 1’39.714, 0.357s from first. 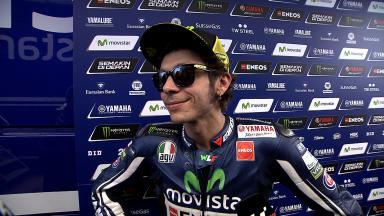 Teammate Rossi was sixth with a 1’40.125 lap, less than four tenths from Lorenzo. The major challenge for both riders proved to be a lack of rear grip so the team will now work to make improvements for both set ups ahead of Saturday’s third free practice session. 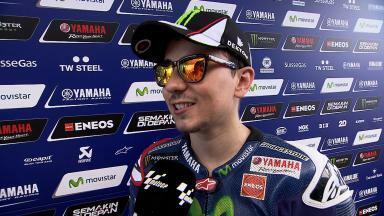 Lorenzo and Rossi also tested a new chassis for their YZR-M1 to improve the bike’s stability under braking. Positive results were obtained, giving Yamaha’s Japanese engineers a clear direction to continue development.